You can shy away from challenges or you can tackle them head on. SMEC did the latter and the result was nothing short of a triumph. 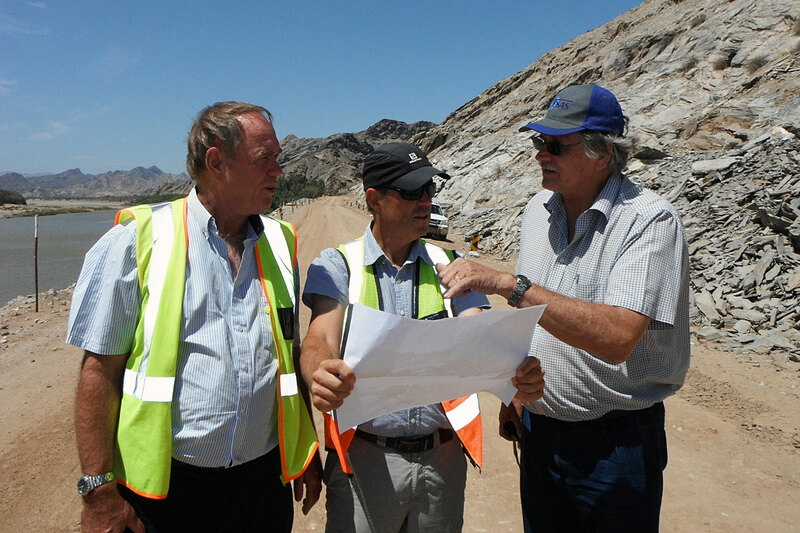 The Namibian Main Road 118 Upgrade was a complex and challenge-filled project, not only for its location as an isolated road through the harsh yet striking Namib Desert with its sand storms and difficult terrain, the expected difficulties and risks encountered on any remote road construction site, and having to operate under the tight security of the diamond mine through which it ran. These factors took their toll, but the greatest challenge was the time frame. 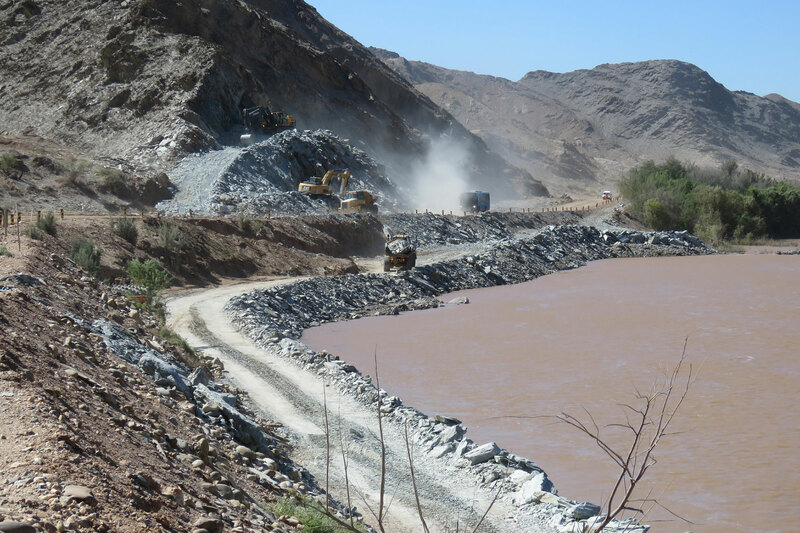 VKE Namibia, part of the SMEC Group, was appointed to commence final design and contract documentation in September 2013, allowing 12 months for completion of this task. At award, the time limit was then reduced to six months, and then again revised to having a Contractor on site within six weeks. SMEC had done feasibility studies of the road upgrade some years prior, and with the aid of this groundwork was able to call for tenders and a site inspection in October 2013 and submit a tender evaluation report four weeks later. The ground-breaking ceremony was held on 29 November and the contract was signed on 11 December. The road is not only of a very high geometric standard with an excellent riding quality, it has also created opportunities for locals and visitors alike to experience southern Namibia’s beautiful landscape. Having overcome the initial challenges and landed in a “Design under Construction” situation, SMEC’s site team proceeded to finalise the design so that a fixed programme and proper planning could be attached, enabling the Contractor to optimise the type and quantity of equipment required. The construction programme having been brought forward by more than a year caused some disruption to staff allocations, but a full and competent team was put together and with a cooperative Contractor the road was successfully completed after 41 months. In August 2017, the road was opened by the president of Namibia. Namibia had long needed road infrastructure between the town of Oranjemund in the far south and the rest of the country. SMEC are proud to have been part of making this happen for the Namibian people and the thousands who visit each year in awe of the country’s rugged beauty. Since its establishment in 1938 as a private town for mine employees, residents of Oranjemund who wished to travel to the rest of Namibia were all but obliged to route through neighbouring South Africa, a 300km detour across the Orange River through Port Nolloth, Steinkopf, Vioolsdrif and back across the same river to the B1 at Noordoewer. This made traveling between Oranjemund and anywhere else in the country significantly more difficult. Following pre-feasibility and feasibility studies undertaken by SMEC prior to 2000, the Namibian Government decided that a bitumen road linking the national road network between Oranjemund and Lüderitz would not suit the mining operations at Rosh Pinah and Skorpion, the world’s eighth largest zinc mine. It also decided that a road via Lüderitz would isolate the mine road which had by this time been proclaimed public although still under the auspices of the mine owner, Namdeb. A subsequent study investigating a direct cross-desert link between Oranjemund and Rosh Pinah, to avoid travelling through the diamond mining deposits along the Orange River, once again favoured the upgrade of the existing Namdeb mine road along the north bank rather than the construction of a new route. The rationale highlighted the difficulties in crossing the high sand dunes and mountainous parts of the pristine Namib environment, the environmental damage and the fact that diamond mining in the area would one day be phased out, leaving the country to maintain the existing gravel road in addition to any new bitumen one. 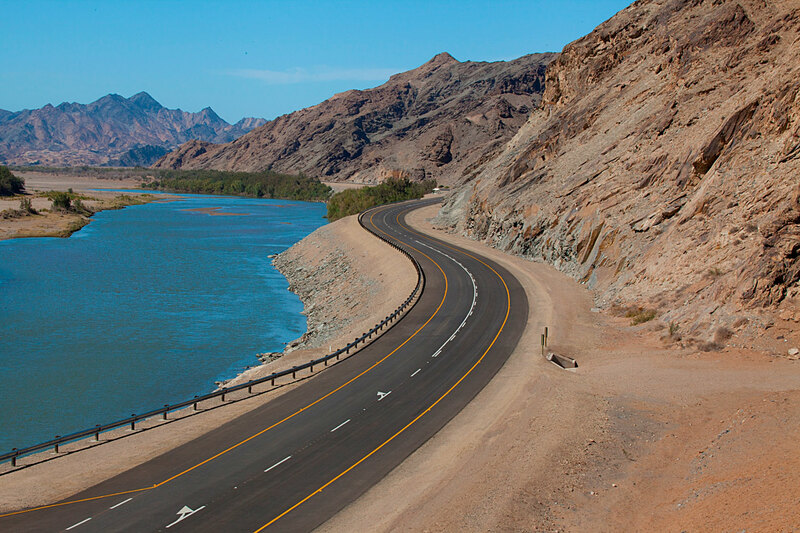 After overcoming these project challenges, the upgrade of the 99-kilometre “river route” to a bitumen surface is now complete and as a result the southern part of the Namib Desert has become much more accessible. Time and travel costs for the residents of Oranjemund have been reduced and opportunities created for tourism growth. The road is not only of a very high geometric standard with an excellent riding quality, it has also created opportunities for locals and visitors alike to experience southern Namibia’s beautiful landscape.